The long wait for this book is well-deserved. 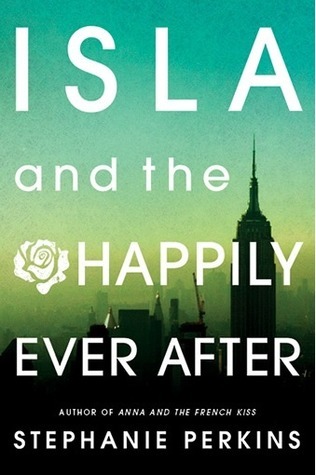 True to its name, Isla and the Happily Ever After did deliver that happily ever after for ALL the characters the series had introduced. There are points I loved in this book, and there were also points that are not so much very lovable. So the first few chapters of Isla, the ones they were trying to build a connection between the two of them, and slowly falling in love with each other, was magical. It was the stuff everyone dreamed of with their teenage crush at one point: senpai noticing you, talking with him, him noticing you more, falling in love slowly. IN PARIS. (And then in Barcelona.) Yes, yes. Obviously, the locations make it even more romantic. I love how this portion of the book is so realistic and so dreamy at the same time. This is the portion where we see why we all love Stephanie Perkins’s writing: the magic of her narrative, the word choices, and the characters finding their way to each other. My qualm only is that I guess at the rate they were going, they got together quite soon. Earlier than their contemporaries, actually. So I was thinking that maybe the focal point of the story was going to be the mistakes they were going to have as a couple, or probably their individual crisis, and how they were going to get back together. While Josh most certainly had his character development, I feel like there could have been more to his story. I mean, it was only stated that somehow, he discovered that his parents were really supportive of his decisions so long as he shows them he is actually dedicated to seeing things through. In Anna and the French Kiss, we actually see Etienne’s battle. Probably not the real conversation between him and his father, but the events leading up to it and after it were quite clearly depicted. Josh’s parent situation was a little too abrupt for me. Isla. I love Isla! I love how shy and sweet and responsible Isla is. I love how she got her adventure, however short-lived it was. (Barcelona <3)So some time during Isla’s crisis, I was expecting that maybe she would have more angsty, angsty time, reflecting on the things she have done and probably a bit more hard time to herself, and along the way, change her pushover, hovering-over-the-ones-she-love quality. Idk. I was really expecting her to toughen up, because she’s really this soft, soft character. But that’s her core personality, so I guess it’s good that she did not really toughen up much. But. I don’t knowwwww. It felt like Isla didn’t grow so much. Honestly.